Lexus Australia has achieved record monthly sales for the fourth time this year with the strongest August performance in the luxury brand’s 26-year history. The result further strengthens the record-breaking momentum for Lexus with January-August sales in 2016 reaching an all-time high of 6,318 vehicles – more than 400 ahead of the same period last year. It is the first time Lexus cars and SUVs have passed 6,000 sales in Australia as early as the eighth month of a year. Total August sales of 789 vehicles represent a gain of 11.4 per cent compared with the previous August record set last year. Sales in January, February and May 2016 were also all-time records for those months. Surging demand for the revitalised range of Lexus SUVs – the NX, RX and LX Lines – is instrumental in the brand’s accelerating sales. So far this year, deliveries of Lexus SUVs have advanced 21.8 per cent to 3,856 vehicles – another record – with the August tally of 523 sales being more than 100 units ahead of the same month in 2015. Lexus Australia chief executive Peter McGregor said regular advances in styling, technology, equipment and safety for the brand’s small, mid-size and large luxury SUVs had underpinned record sales. “Lexus is benefiting from full availability of the latest recently arrived fourth-generation RX Line and the extensively upgraded LX 570, both of which were launched late last year,” Mr McGregor said. 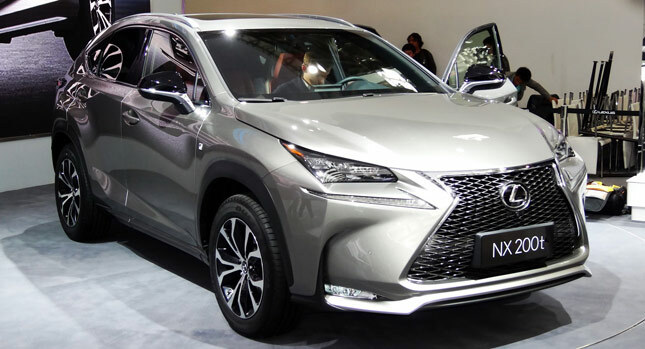 The NX Line – offering powerful yet economic turbocharged petrol and full hybrid powertrains – has experienced growth of 22.0 per cent to the end of August with demand swelling to 2,331 vehicles. In the mid-size segment, the fourth-generation RX Line – with four-cylinder turbo and V6 petrol engines and a hybrid variant – recorded 177 sales in August, lifting sales so far this year by almost 18 per cent to 1,347 vehicles. The Lexus four-wheel-drive flagship, the LX 570, recorded its best August since 2003 with 37 sales. Its tally so far this year of 178 vehicles is the LX Line’s best result in eight years.